Contact Us & FAQsHow can we help you? TWELVE LIGHT YEARS FROM EARTH, the massive starship The Magellan is 164 years into its journey into the unknown. A journey it is destined never to finish. Finding themselves alone in space having lost everything they have ever known, Connor, Grace, Adam, Evelyn and Max face many terrifying ordeals. Whether it’s fighting off giant venomous spiders on the acid planet Zulfura or an attack from four-winged vultures on Baldr, the children must put their differences behind them and learn to work together if they are ever to find safety. Can they find somewhere to call home again? Will the mystery of their situation ever be resolved? And will they ever be able to fight back? please visit the Kindle store at Amazon. please visit the Kobo store. At Milliways Books, we believe in the quality of the books that we publish. 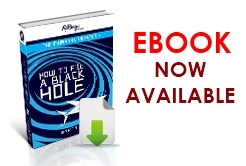 To show you how much, we are giving away the first 3 brilliant chapters of How To Fill A Black Hole for FREE. To download them, go to the Downloads page, click the link, enter your email address and we will send you a link to download the PDF. 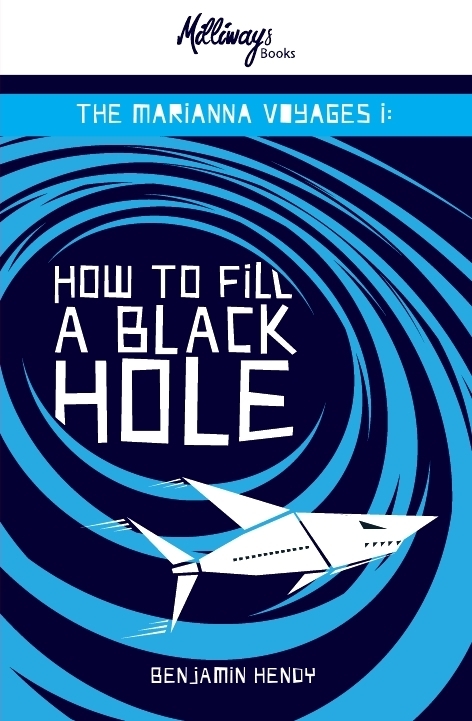 We are sure you will love How To Fill A Black Hole by Benjamin Hendy so once you have devoured those first three chapters you’ll be rushing back to our site to place your order the rest of the book. Bought this yesterday and stayed up until midnight to finish it, which gives a good indication that it is a captivating read. I think this is a good book and a great introduction to Sci Fi for the younger reader. It is well written in relatively simple language, has a good story, some interesting characters to identify with and moves along at a cracking pace. A bit tricky giving a comprehensive review as I am 45yrs older than the target audience for this book and have a lifetime of reading Sci fi behind me, but it actually reminds me of the first SF stories I read and enjoyed as a boy. Some of the classic concepts of SF such as the time travel paradox are touched on without getting into long and complex arguement. Indeed there is a degree of naivity here, which I think is a good thing , as it makes a good starting point for future reading and exploration. As the first of a multipart story it left me wanting to read the next one, as I am sure it will younger readers. Well done Ben! Become a fan of Milliways Books on Facebook or follow us on Twitter to find out all our latest news.